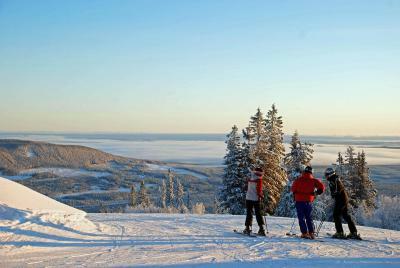 Lock in a great price for Hotell Klövsjöfjäll – rated 9.1 by recent guests! Modern, quiet, tidy and big rooms. Good hotel with a great breakfast. Dining room was nicely decorated. Beautiful scenery near the hotel and good walking routes. Underbart läge med utsikt över skidbackar och badsjö från den stora, fina balkongen. Fantastiskt läge, rummet/lägenheten samt frukosten. Hit kommer vi säkert att återvända för en lite längre vistelse. Trevlig personal! Lejlighed med god plads fint badeværelse og en fin udsigt. Das Hotel liegt in einer landschaftlich sehr schönen Lage. Das Zimmer (und Hotel an sich) war sehr sauber und gross. Auch das Frühstück war sehr gut. Was will man mehr ? Fri transfeer till restaurang då det inte fanns någon sådan på hotellet. Vi fick ett större rum än vi bokat, det var trevligt. Personalen var trevliga. Frukosten var ok.
Fantastisk personal , sköna sängar , underbar frukost! 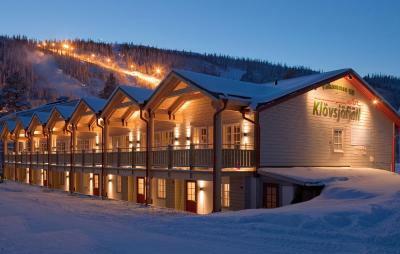 Surrounded by lakes and forests, this hotel is found in the Klövsjöfjäll Ski Resort. 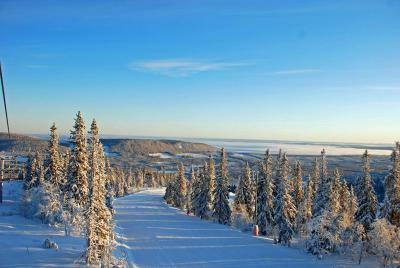 It offers ski-in ski-out accommodations, popular after-ski events and free access to both a sauna and hot tub. 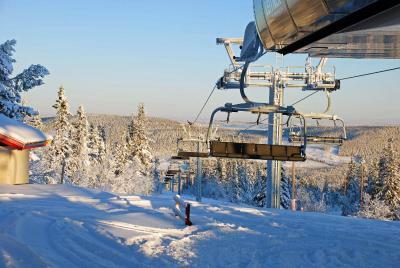 All accommodations options of Hotell Klövsjöfjäll feature flat-screen TVs with cable channels, and most overlook the Klövsjöfjäll Mountain. 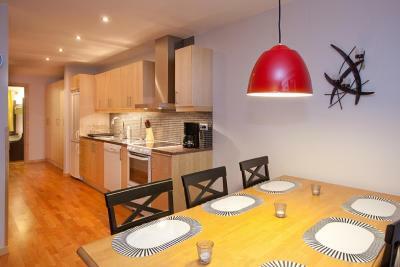 Apartments also include a fully equipped kitchen. During the summer the on-site restaurant is only open for breakfast. Klövsjöfjäll offers a free transfer to a nearby restaurant. Ski school and snow mobile safaris can be arranged by staff at Klövsjöfjäll Hotell, while popular summer activities include trout fishing and canoeing. 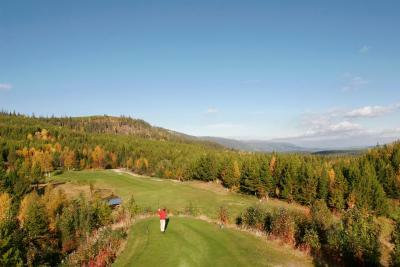 In addition, the Klövsjö-Vemdalens Golf Course is only 2.5 mi away. Free private parking is possible on site, and parking heaters can be borrowed at the reception. 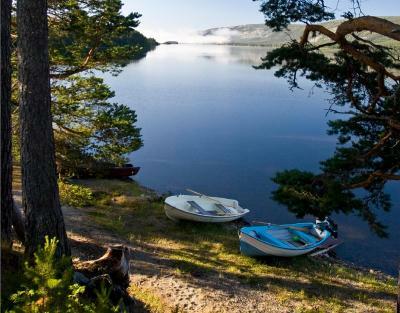 This property also has one of the top-rated locations in Klövsjö! Guests are happier about it compared to other properties in the area. 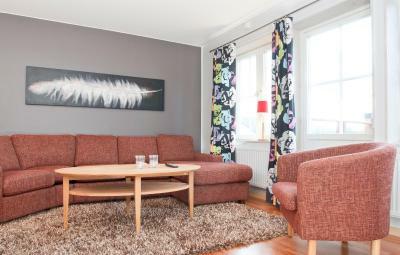 This property is also rated for the best value in Klövsjö! Guests are getting more for their money when compared to other properties in this city. When would you like to stay at Hotell Klövsjöfjäll? Room with attached bathroom featuring a seating area with sofa, a flat-screen TV with cable channels and a glass balcony with views of the Klövsjöfjäll Mountain ski slopes. Open-plan studio with combined kitchenette, bedroom and living room with a flat-screen TV. 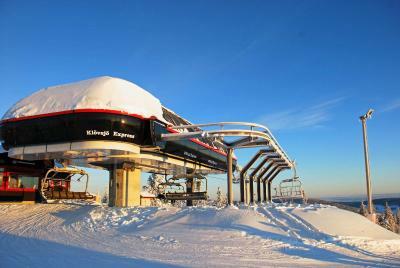 Includes a fully equipped kitchen with dishwasher and a balcony with views of the Klövsjöfjäll Mountain. Please note that guests must clean the apartment at the end of their stay. House Rules Hotell Klövsjöfjäll takes special requests – add in the next step! One child under 12 years is charged SEK 300 per night when using existing beds. Hotell Klövsjöfjäll accepts these cards and reserves the right to temporarily hold an amount prior to arrival. Please note that the relaxation area is open from 15:00 until 20:00, and that the hot tub needs to be booked in advance. The age limit is 16 years.